If you need a fast, reliable and affordable Norwegian translation services, Sydney Translations is the way to go. Every year we translate thousands of Norwegian documents for hundreds of clients ranging from individuals, businesses, global companies, government agencies and organisations based in Sydney. We are the leading Norwegian translation services provider in Sydney. Our proven track record of providing quality Norwegian translation services for more than seven years has earned us the trust of our clients. 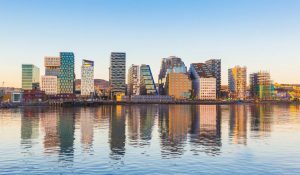 If you are a business in need of Norwegian translation services to help you translate your content and target the Norwegian market, you’re in the right place. If you’re an individual looking for a NAATI certified Norwegian translation services, we can help you. We translate all kinds of documents in different areas, such as the medical, business, legal, personal, engineering, technical, marketing and all other types. Commonly, we receive a high volume of translation request for documents such as academic transcripts, birth certificates, driver’s licences, marriage certificates, death certificates, diplomas, ID cards, engineering manuals, marketing reports, and many more! Let us assess your document and send you a FREE quotation. Simply fill in your details on the translation form on this page and attach a copy of your document. We will get back to you in no more than 15 minutes. Need a NAATI Certified Norwegian Translator? Sydney Translations has handpicked the most qualified NAATI certified translators to handle your projects. We match your document to a highly skilled Norwegian translator who has years of experience in your field. Take, for example; if you need a translation for your engineering manual, we will assign a NAATI accredited Norwegian translator who is familiar with engineering subjects and has an in-depth knowledge of the topic. Teamed with our project managers, you can be confident that your translations have undergone several processes that ensure you only receive a high-quality and error-free Norwegian translation services. We strive to meet all of our clients’ deadlines. With our standard Norwegian translation services, our Norwegian NAATI translators can finish a 3-page document in 2-3 working days. However, if you need your document earlier, let us know. We provide Instant and Express Norwegian translation services where you can receive your documents in less than 24 hours. Isn’t that great? Follow these steps to order a Norwegian translation successfully. Fill in your details on our online enquiry form. Make sure that you attach a clear copy of your document. In 15 minutes, we will email you an exact quote for free. Complete your translation order and proceed to payment. We accept credit cards, bank transfers and Paypal transfers. After we have finished your translation, we will provide you a soft copy through email and ask for you to review the document. Once we receive your approval, we will send you the final soft copy of the translation and if needed, post a certified hard copy to your preferred address. The Swedish, Danish and Norwegian languages are related to one another to some extent. When spoken, these three are mutually intelligible. 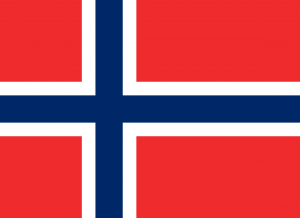 Norway has designated two written forms for the language, first is the Nynorsk and the second is Bokmal. The later is mainly used to write business-related documents. Each region makes use of their own dialect since the Norwegian language has no defined official spoken form. With a limited number of derivatives, the language borrows some English terms to make up for what it lacks. With all these nuances, a professional Norwegian NAATI translator should take all of these in considerations when translating. Sydney Translations is proud to have Norwegian NAATI translators who are capable of doing such.